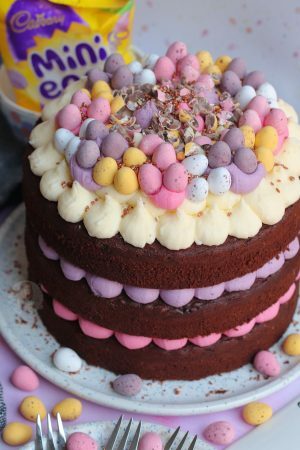 A DELICIOUS Easter Dessert, thats so incredibly easy. 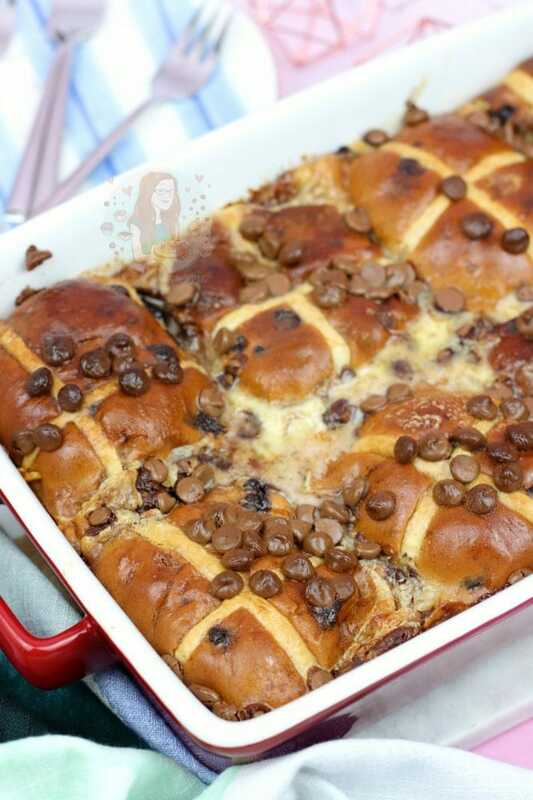 Hot Cross Buns, Chocolate, and more for a yummy Hot Cross Bun Pudding! 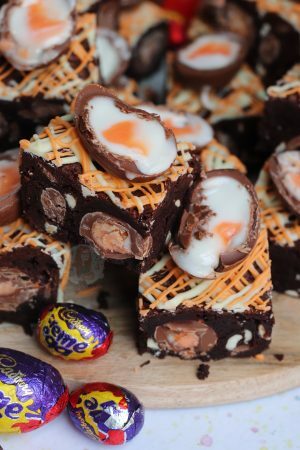 Sooooo I just couldn’t resist oneeee more Easter recipe for this year. 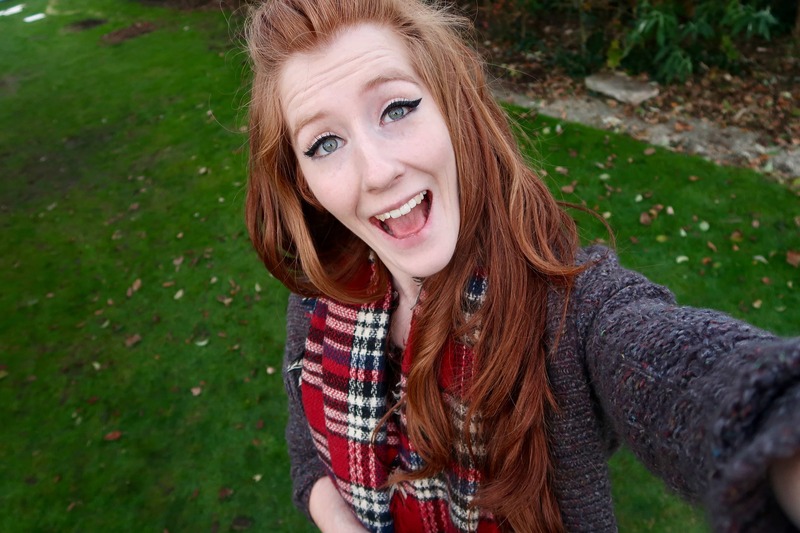 I have loads of other plans, but there’s only so much Easter content you can post in one year and not annoy people. 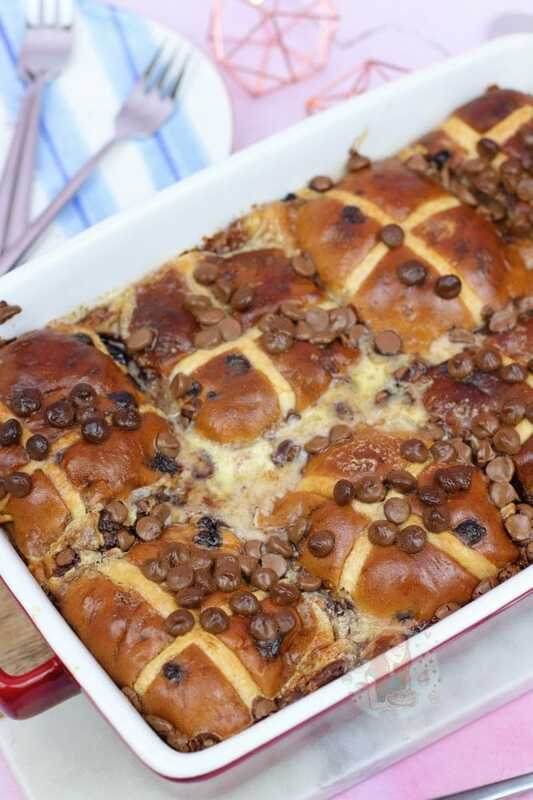 I thought this one is best to leave till last, as its just so incredibly and unbelievably easy, and its a good one for if you bought too many Hot Cross Buns for Easter Weekend. 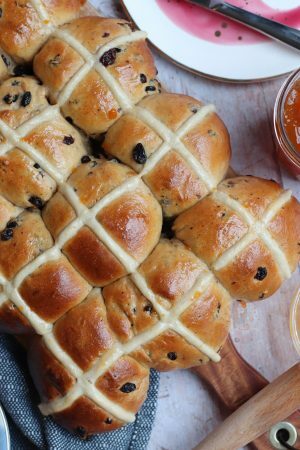 I am OBSESSED with Hot Cross Buns, and I know that they are available all year round, or you can make your own, but nothing beats the special flavours that they release for this time of year. I used some Marks & Spencers Salted Caramel and Chocolate Hot Cross Buns in my Chocolate Dippy Eggs recipe, and OH MY GOSH they are incredible. I decided, that as I had got a little carried away and bought EIGHT packets of these bad boys when they were on offer and shoved them in the freezer, that I should probably use them for this recipe as well. I have no regrets about this, because it tastes INCREDIBLE. Oh my jeez, I can’t even describe how incredible and just delicious this was. And yes, I do use the word ‘incredible’ a lot. 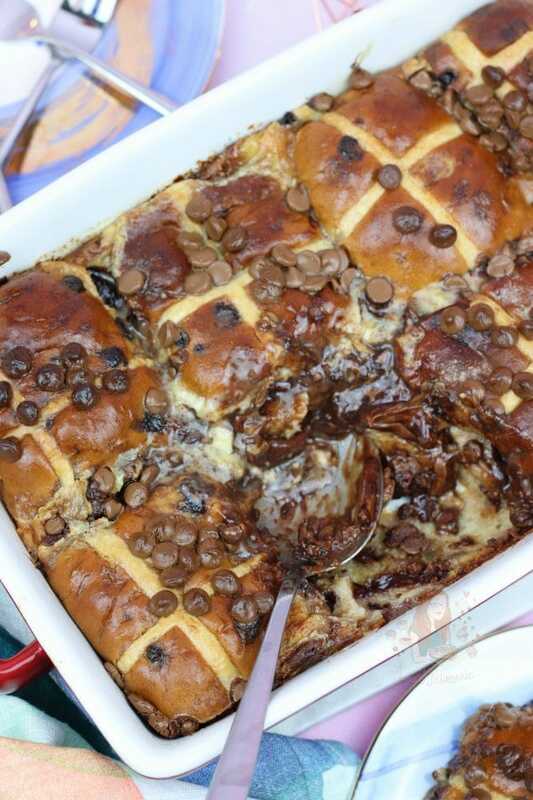 Most Hot Cross Bun puddings like this are basically Bread and Butter puddings, but as I wasn’t really going to be doing the ‘butter’ side of it, I just thought I’d call it Hot Cross Bun pudding. I’ve seen a few which use Marmalade in the middle of the Buns, and thats delicious, but I wanted Chocolate overload. You can obviously use whatever you want in the middle, but a row of a bar of chocolate is INSANE. So unbelievably gooey and just irresistible. The mixture itself to make it the pudding, is as simple as it can get. Whack it all in a bowl, whisk, and pour on. Literally, that simple. I do go a bit overboard as I then decided to sprinkle some chocolate chips on top for decoration, as well as an extra hit of chocolate, but can you blame me really?! I couldn’t resist it! 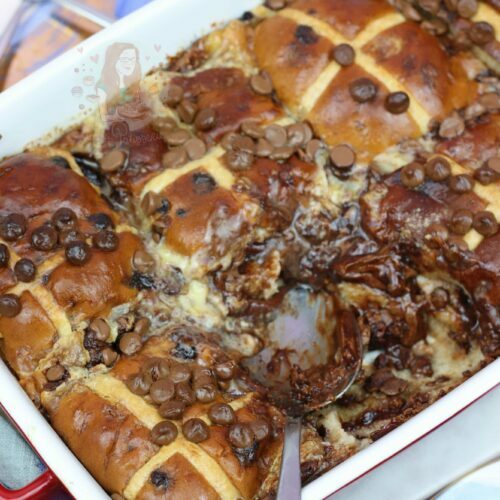 A DELICIOUS Easter Dessert, thats so incredibly easy. 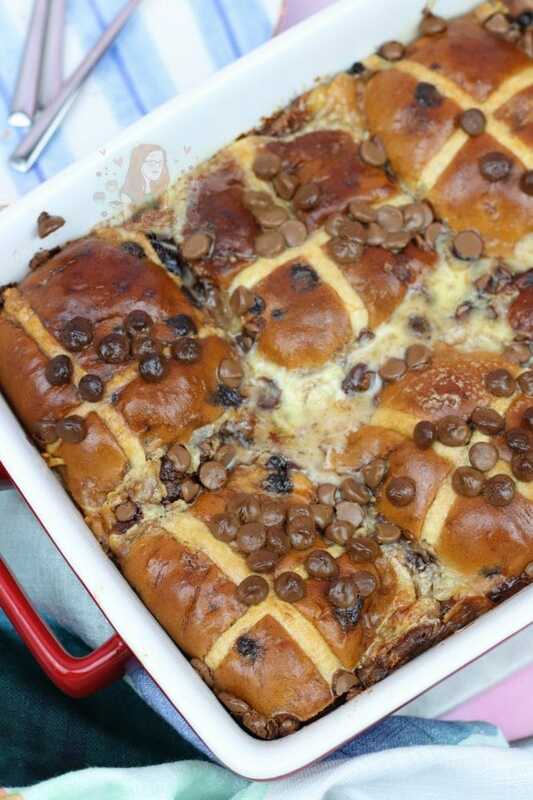 Hot Cross Buns, Chocolate, and more. Halve your Hot Cross Buns like you would to toast them, and put a few chunks of chocolate in the middle and sandwich again. I used a Chocolate Bar, and snapped the rows off and put a row in the middle of each bun. 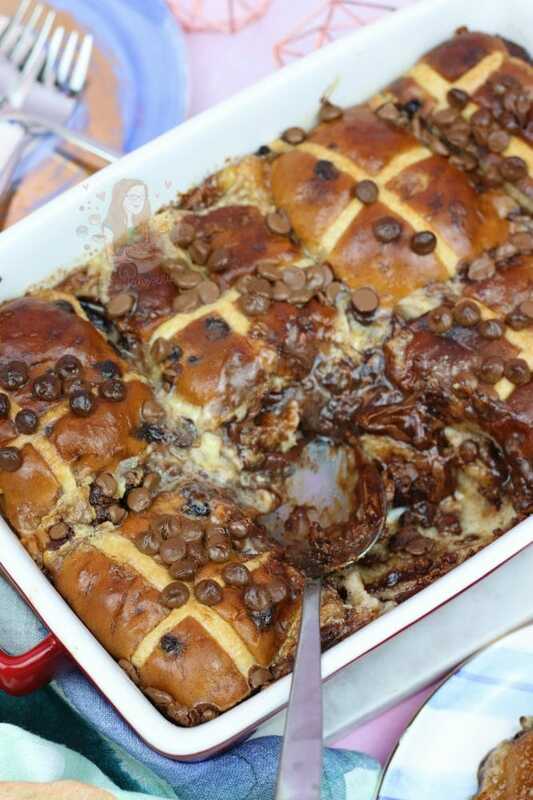 Lay all your Hot Cross Buns next to each other in the dish. Mine easily fit six, and then a 7th split in half on the ends. In a bowl, whisk together the Milk, Double Cream, Eggs, Sugar and Vanilla until combined. 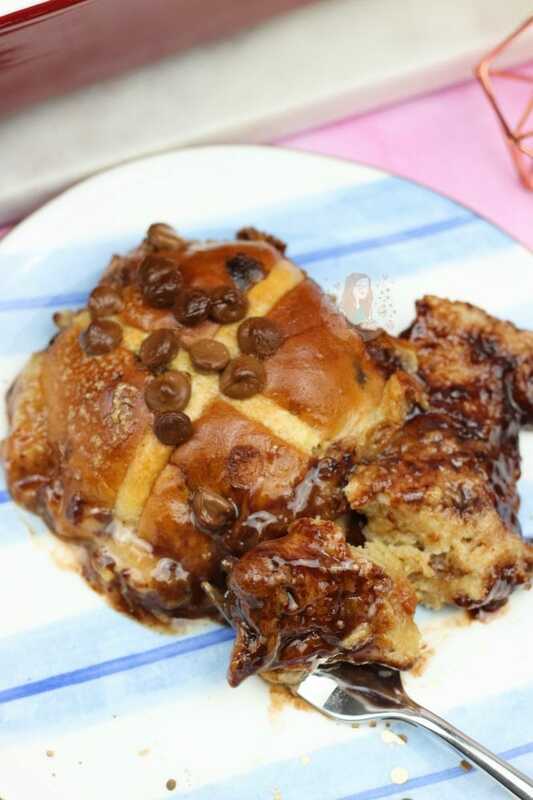 Pour over the Hot Cross Buns, and sprinkle over the chocolate chips. Bake in the oven for 40 minutes, and then remove and leave to cool for 10 minutes before eating! I used Marks & Spencers Chocolate and Salted Caramel Hot Cross buns for this. I used a ceramic dish as you can see, as they're so good for baking these kind of desserts. You don't have to use the chocolate in the middle, you could use a chocolate spread, a bit of caramel, or a jam, I just wanted this to be uber chocolatey. This is best served warm, but can easily be reheated if it goes cold. You can use either Semi-Skimmed milk or Whole milk in this recipe, I wouldn't recommend Skimmed. This will last for 2 days after the day of making. Find my other Dessert & Easter Recipes on my Recipes Page! Older Next post: Cadbury’s Caramel Cupcakes! Newer Previous post: Dairy Free Brownies! 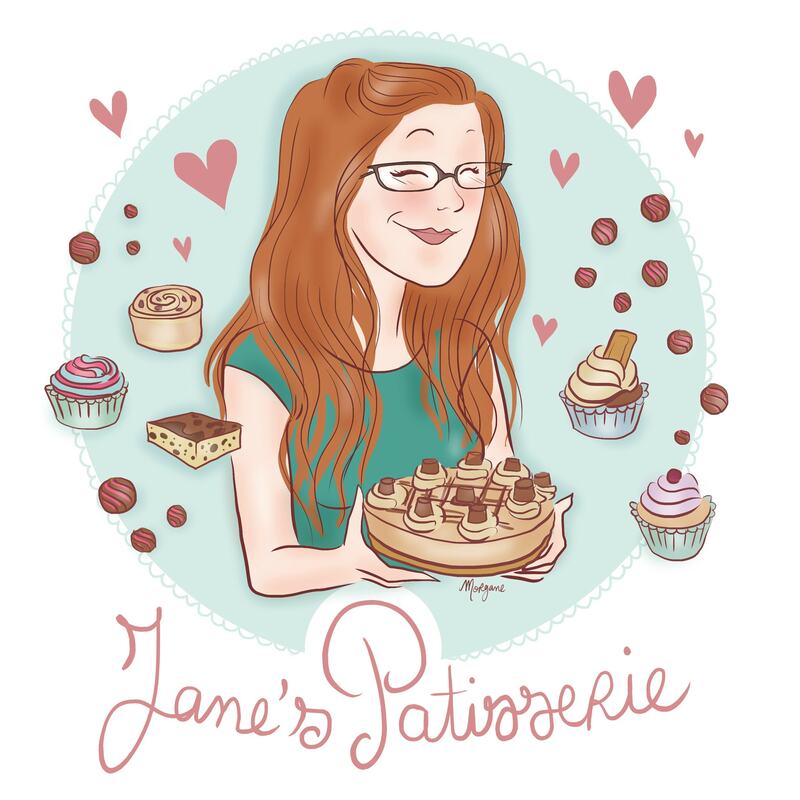 Looks yummy as always Jane!!! Awesome job, Jane! If I double this recipe, will it come out just as good? Thanks!